At our Bozeman animal hospital, we have a skilled staff who will take excellent care of your pet. You can rest assured when you're away, everyone at our facility is highly trained to deal with your animal. We're all compassionate about pets, so you know your pet will be loved while you're away. We feed, play and love your pet just like you would. Additionally, if your pet has any issues while you're away, our veterinarian in Bozeman will address the situation immediately and accordingly. You can enjoy your time away with friends and family without feeling guilty that your fluffy family member is without you over the holidays. Unfortunately, taking your pet in the car or on a train or plane isn't easy. Most pets don't enjoy the motion and may even get sick. 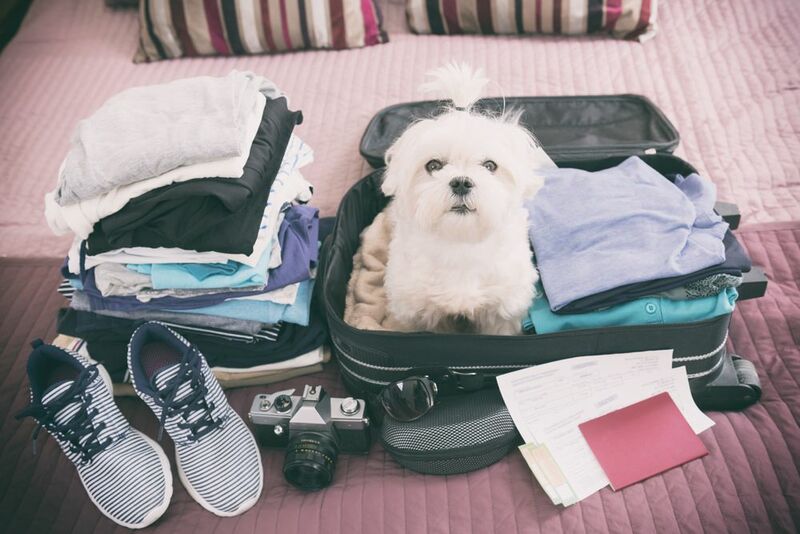 Traveling puts a lot of stress on your pet. However, you can bring your pet to a Bozeman vet and eliminate much of the anxiety your pet will feel while you're away. You need a travel certificate provided by a veterinarian in Bozeman for your pet to go to certain states, airlines or countries. You can eliminate the need for this additional expense by taking your pet to a veterinarian in Bozeman who also offers the services of a Bozeman animal hospital. To utilize the services of holiday pet boarding in Bozeman, you only need to show proof of your pet's vaccinations. We conduct a physical examination to ensure your pet is healthy enough to stay with us safely, and this allows us to diagnose and treat parasites that could spread throughout the boarding facility. When you opt for pet boarding in Bozeman from a Bozeman vet office, you don't have to worry about your friends or family not taking care of your pet. You know you have people you can trust with your pet. To schedule an appointment with a Bozeman vet or to schedule pet boarding in Bozeman for the holidays, contact Montana Veterinary Hospital & Boarding at (406) 586-2019 today.